Tech Talk: Party Hard — But Don’t Stress Out! When my husband and I were getting ready to celebrate our 15th anniversary, we wanted to celebrate with our friends. We decided to have a big pool party and cookout at our home, and we invited friends from church, work, and our homeschool co-op to celebrate with us. I arranged it all via email, and had a general instruction on the invitation: BOYB & a side dish, and we’ll provide the main meal. It was a big success, and we had about three dozen people, including a pool full of kids who splashed around all afternoon. The next year, we decided to have a Sweet Sixteen Anniversary party, but I didn’t want to try to keep track of everyone’s emails and make paper lists (which always seem to get lost somewhere in the house). 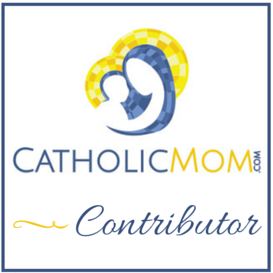 Head over to CatholicMom.com to read the rest, complete with my Beastie Boys-inspired headline! Seven Quick Takes: Anniversary Edition!